If you want to improve your distance – with your driver and with every club in your bag – the most important skill to focus on is increasing your club head speed: more specifically, club head speed through the impact zone. So when you head to the range to work on distance, evaluate your efforts based on how well it helps – or hurts – your swing speed. Your Angle of Attack, which influences ball spin rates and launch angle trajectory. 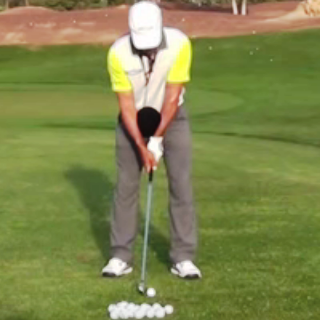 Optimize all three Ball Flight laws, and you’ve optimized your distance. 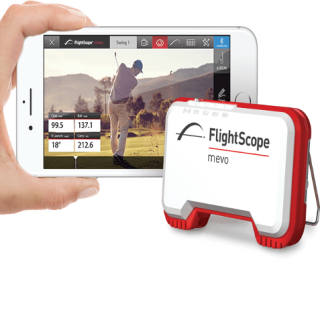 But the reason to focus on speed is that once you’ve learned to hit the ball in the center of the face, and once you get the right angle of attack – you have maximized those aspects of the physics of distance. With swing speed, however, you can keep getting faster and faster. And I’m the perfect example. The first year I entered the Long Drive Championships I wasn’t fast enough to compete at the World level. In fact, I almost lost the Regional qualifier. But in between the Regional and the World Championships – a period of about 6 weeks – I increased my club head speed from under 120 mph to over 140 miles per hour. I did it by systematically breaking down the golf swing into parts and analyzing their impact on distance. If it didn’t help me hit the ball farther, I moved on. If it helped, I created a training regimen around it to get better. The training program that ultimately emerged from this process is what turned into The 5 Keys To Distance. It’s exactly the same training regimen I use every year to gear up for the World Long Drive Championships in October. The five “parts” of the swing that help the most with distance can be summarized by the acronym BLAST, which stands for Balance, Leverage, Arc, Speed, and Target. Keep these in mind when you are working on your swing, because the nice thing about BLAST is that they are all concepts (by henry). Because they are concepts, you can figure out how to best incorporate them into your own unique swing. 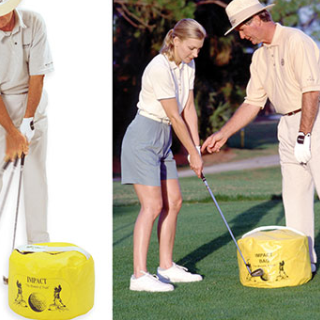 They are not a methodology that requires you to be in a certain position at a certain point in your swing. So the next time you practice with the intent of picking up more distance, experiment with your balance, leverage position, wider swing arc, core speed, and your target focus. Improving in just one or two of these areas can easily get you 10 to 20 more yards off the tee. PS – Please share this post with your friends and post your thoughts in the comment box below. First thing I want to say is how well you explained how to get more distance using BLAST. Your explanation was crystal clear. Thank you very much. I’ve been a spectator at the World’s Longest Drive and I’m in awe as to how far you were able to make contact with the ball to win the World’s Longest Drive Champion. Thank you for showing us the video of yourself. I’ve sent it to my friends who are also in awe. Thanks Eric for your tips. Thanks so much for your email. I hope you had a great time watching the World Long Drive Championships. It is quite a show. Glad you are also benefiting from The 5 Keys To Distance. The concepts work for everybody. One of the things I work on a lot with my Lady students is simply practicing swinging faster. The Baseball Rip Swing is terrific training for that, and you don’t even have to be at the driving range to do it. Even without seeing your swing, one of the things I’d likely recommend is to do the Baseball Rip Swing every day, for about 20 repetitions. It’ll only take about 5 minutes. Even though it is a simple drill, it will help you swing the club faster, it will help you understand the proper swing sequence (weight shift -> Pivot -> Release), and it will help you understand how to swing faster while remaining in good balance. Best of luck, and keep me posted on your progress! Thanks for the comment. One of the things I have found that helps students progress fastest is to help them understand WHY they are working on a particular aspect of the swing or their game. Having the WHY puts everything into context, and provides a way to measure progress. For example, I may have a student work on improving their balance. That is the WHAT. In and of itself, the student may get better at balance. 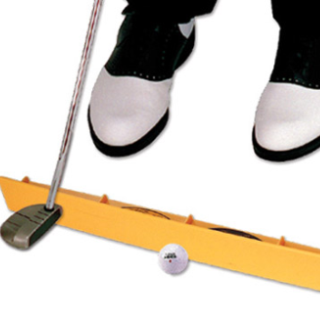 But the real objective is to improve balance so that the student can either A) Increase club head speed, or B) Improve ball striking. Armed with this kind of information, the student can now evaluate the effectiveness of their efforts to swing in athletic balance by measuring swing speed or center contact. In this way the student can then coach themselves to find a way to make balance work best for them, and the efforts always wind up with an improvement in performance (which is what we are really after). Glad it is helping, and I look forward to your feedback. Thank you for your tips on distance. Not only I am driving the ball longer it is the accuracy I am really impressed with. Thanks for your comment Gilles. Glad to hear you are seeing such great results. Distance is great, but distance with accuracy is what produces lower scores and a lot more fun on the course. I provide plenty of swing mechanics instruction, but I also make sure to include what I call “performance” aspects as well – specifically, WHY something is important, and how to use it on the course. Look forward to more comments from you in the future! I tried to purchase your program and did not receive emil that I was supposed to approve order. I searched junk mail and nothing came back. I created a ticket for you at Support@ TargetCenteredGolf.Zendesk.com. Send a reply to that email so we can get you squared up. Thanks! I already have your basic program and have been working on the drills. Since my birthday approaches my family has granted me the gold component of your program. Can you sell me on its value a little more and I may be adding it soon? Thanks for the question. The Gold program has access to all the pages on the site. Each module has additional drills for Balance, Leverage, Arc, Speed, and Target. In addition, there are more videos in the Advanced module covering advanced practice techniques, the learning process, ball flight laws, and the physics of distance – all of which deepens your understanding of what is happening during the swing, how to evaluate the results of your shots, and how to make the best use of your time on the range to get the maximum results – more distance, and better ball-striking. There are a couple of drills in the Gold section, like the Pivot Drill and the Connection drills that people are raving about. If you like the program thus far, you’ll like the additional material. And, of course, there are more posts with questions and feedback on the drill pages from the community. Hope to see you there!